Thank You Card | Donation and Charity Thank You Cards | Order Thank You Notes Today! | it takes two, inc. Thank someone for their generous donation with these pleasant donation thank you cards. Go the extra mile and make sure your donors think of your organization's needs first. 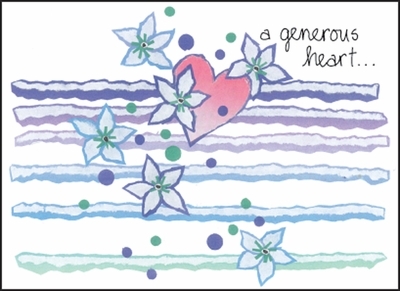 Send a heartfelt handwritten thank you card. is a priceless treasure. thank you for your gift.